Depending on the tank size and usage, septic tanks on most residential properties need to be pumped and cleaned every three to five years. After all, there is only so much sludge that a septic tank can hold. 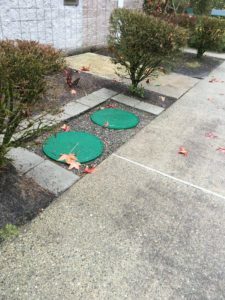 Regular residential septic tank pumping in Olympia, WA homes is essential to remove the accumulated waste otherwise sewage backup through the drains and toilets will start. We also undertake commercial septic tank cleaning jobs in Olympia. If you do not want your business to be hampered by backing up drains or environmental violations, call us on time for commercial septic tank cleaning. The expertise of our septic company is not limited to commercial septic tank cleaning and residential septic tank pumping. Olympia residents can also call us for septic tank repairs and replacements. As with any other equipment, problems tend to arise with septic system from time to time. If not attended to immediately, the issues can soon lead to shutdown of the system and cause mayhem in your home or business place. Make VAC-TEC LLC. 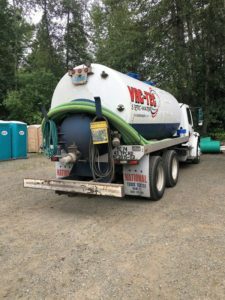 your first call for commercial septic tank cleaning and residential septic tank pumping services in Olympia. Dial (360) 338-6686 to discuss your job and get a free estimate.